2017 was going to be a dream team moment for Mugen Honda who had signed up John McGuinness and Guy Martin to ride the new CBR1000RR Fireblade for the Isle of Man TT race that year. Sadly, it spelled misery for all three parties as McGuinness had a massive crash at the North West 200, which ruled him out of the TT, while Martin pulled out of the event as he claimed the Fireblade to be scary around the mountain course. Norton snapped up the opportunity to sign McGuinness this year and the two were going to go racing on the V4 RR. Sadly, the 23-time TT winner’s leg had not recovered fully. For 2019, they have something special planned. 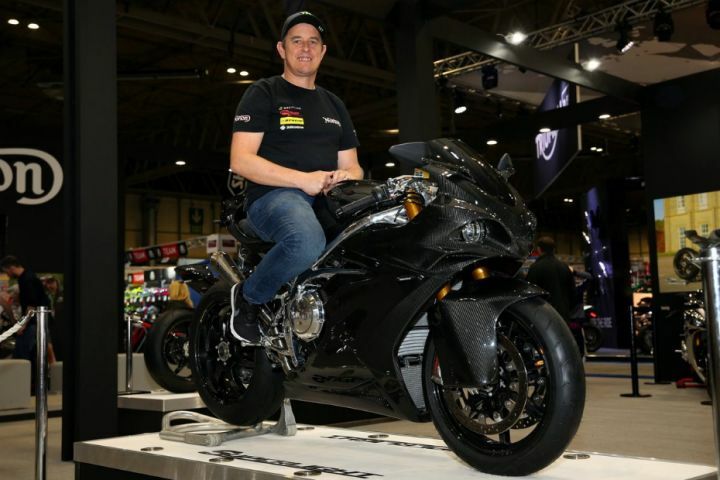 Norton had showcased the new Superlight at the Birmingham NEC Motorcycle show. Just a couple of days ago, it confirmed that McGuinness would be piloting the same for the upcoming year. This will be the first time McGuinness will be racing in the Lightweight TT class as he has always raced in the larger litre-class categories until now. Norton CEO Stuart Garner added, “The Superlight is pretty much a balls-out race bike that we’ve wanted to produce. It’s been designed to fit into the Lightweight category – it’s a 650cc homologated road bike so we’re compliant with all the regulations and we want to give John McGuinness another bike to run out on at the TT." Will McGuinness be able to add to his tally and inch closer to Joey Dunlop’s record of 26 TT wins? Only time will tell.